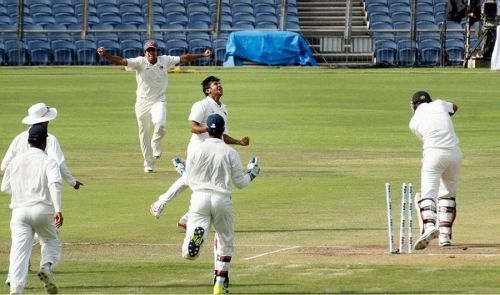 The Board of Control for Cricket in India (BCCI) has decided to go back to the older format of Ranji Trophy i.e. the home and away. In an interview with the Press Trust of India (PTI), one of their officials mentioned how the current format impacted the players and their performance and thus they might revert to the old. "Most of the states have already made it clear that we should go back to the old format of at least four home matches. The last year became an ordeal for the teams as they were constantly travelling for three and half months. It made them homesick," he mentioned. He also highlighted the importance of Sourav Ganguly’s role in the decision making. "Hopefully, chairman of technical committee Ganguly will take a call. That's the main point on the agenda apart from discussing the Conclave report," the official added. The Ranji Trophy, till the 2015-16 season was played with the home and away format. However, the officials decided to bring sort of a change in the format of the tournament and hence decided to try out something new. During the BCCI’s Annual Conclave held in Dharamshala in 2016 the officials decided to inculcate the format of neutral venues. It received positive responses from captains and coaches and hence was implemented in the 2016-17 season. The format turned out to be a flop as skippers from different teams didn’t seem satisfied with the format. They gave negative feedback of the same during the Captain’s Conclave in Mumbai earlier this year. The 84th season of the prestigious domestic tournament in all probability is set to revert back to its erstwhile format this year. The technical committee under former Indian skipper Sourav Ganguly will have a meeting regarding this in Kolkata on August 2. In a dynamic sport like cricket, chopping and changing are a necessity. However, every other change may not turn out to be beneficial for the cricketers. Also, every aspect of the game has its own pros and cons. When the home-away format was in place, the teams complained about the home teams doctoring the pitches. However, the format implemented in the previous seasons also had its own disadvantages, which also wasn’t taken positively by the teams. Therefore, it’s inevitable for teams to adjust themselves to the negative aspects, provided they aren’t daunting enough to impact their careers. Also read: Can Mohammed Shami become India’s new fast bowling leader?